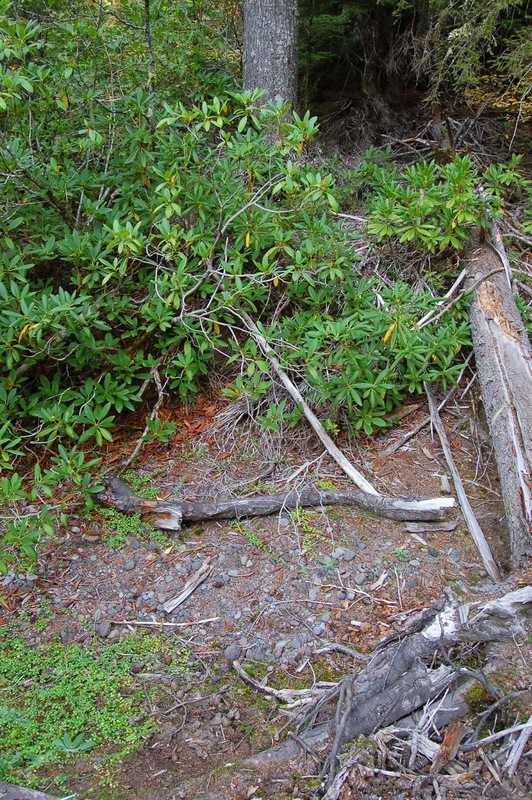 Can you spot the hard (pardon the pun) evidence of running water in this photo? And we're not talking about a minor trickle, but a fairly competent flow. If not, take a look at the crop below. 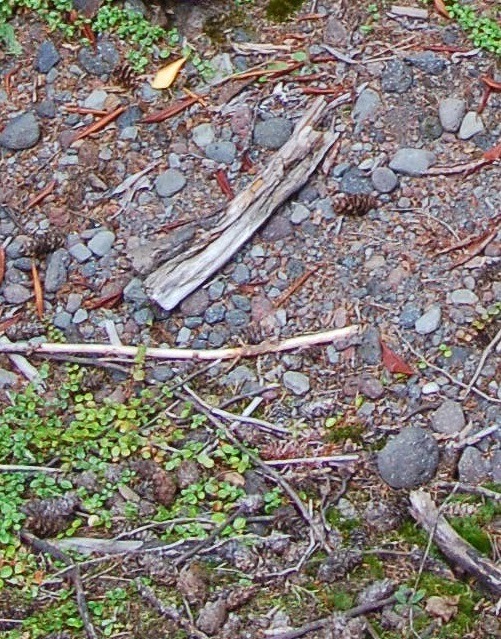 The Douglas fir cones scattered around are typically 2-3 inches long, for a sense of scale. Look how rounded that gravel is! This is very clearly not simply a lava gutter, though it may have started out as one. I don't know if water has ever been actually witnessed flowing through this channel, but clearly it has at some point. Eyeballing the woody debris, and its generally not-too-decomposed state, I'd bet it hasn't been very long, maybe in the range of a decade or so. During the winter season, the road to this trail is closed. People do visit during the winter season, but it's a fair trek in from the gate (~7 miles round trip), so the number is limited. Take into account that the kind of weather that I'd guess is responsible for burst floods that might behave like this is heavy warm rain on a heavy snow pack, it seems likely that even those venturous folk might hesitate to visit on days when this might happen.